With lineup announcements from more contemporary festivals rolling in at a breakneck pace, those that cater to the underground are as welcome as ever. This week, Toronto festival Electric Island released the lineup of its 2016 edition, and as with previous years, it looks to be a five-day house and techno haven. Even with your eyes closed, you would be hard pressed to put a finger on any point of the lineup without touching the name of an underground favorite. Get Real, Justin Martin, Nicole Moudaber and Sven Väth are but a few of the dozens listed, making for a roster sure to resonate with fans of dance music’s more sophisticated side. 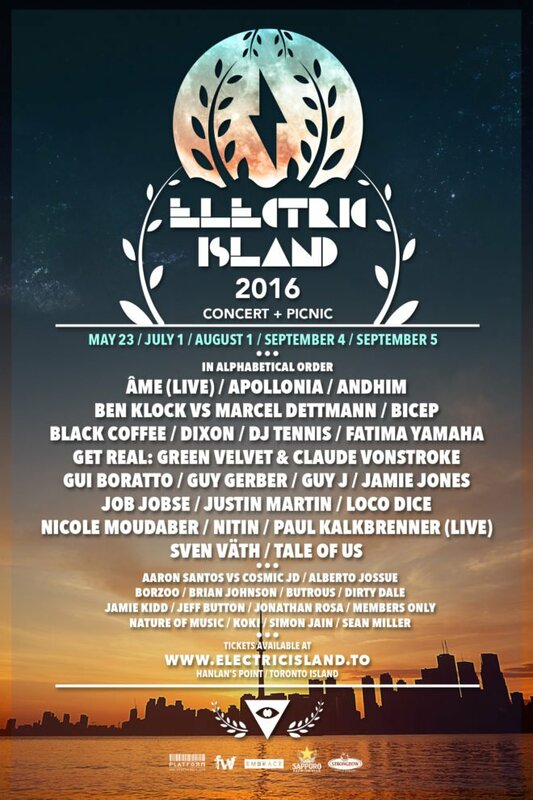 Electric Island takes place over three months, with near-monthly installments that go for either one or two days. Being that the first is less than two months out, lineup announcements by day are sure to follow in the coming weeks – but for now, check out all the artists slated to perform below.